Business Facilities, ATM/Banking, Safe Deposit Box-Front Desk, Secretarial Services, Audio-Visual Equipment, Bar, Breakfast Services, Currency Exchange, Wedding Services, Laundry Facilities. Desk, Electronic/Magnetic Keys, Microwave, Bathrobes, Iron/Ironing Board, Hair Dryer, Smoking Rooms, H/C Water, House Keeping, Complimentary Newspaper. ATM/Banking, Banquet Facilities, Breakfast Services, Business Facilities, Coffee Shop/Cafe, Conference Hall, Doctor on Call, Laundry Facilities, Parking, Restaurant, Room Service, Secretarial Services, Bar. 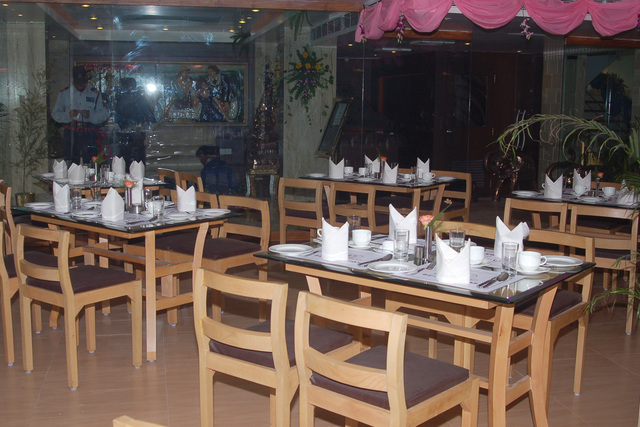 User reviews for "BS Park Plaza Hotel Jamshedpur"